What will Brexit mean for oat trade? The UK’s trade in oats is almost exclusively with other EU Member States, so if the UK leaves the EU without a Free Trade Agreement, it will have considerable impacts on UK oat trade when the domestic market needs to correct a domestic shortage or surplus, according to AHDB. The oat area has ranged between 109,000ha and 177,000ha over the past 10 years. Over the past ten seasons (2007/08 – 2016/17), the UK has been a net importer of oats nearly as often as it has been a net exporter. This followed a 15-year period when the UK was nearly always a net exporter. The shift from consistent exporter to a more variable trade position has been driven by a variable domestic crop size but steadily growing UK milling demand, according to AHDB. Throughout the past 10 years, both UK imports and exports of oats have been almost exclusively with other members of the EU. Four per cent of UK oat exports were to non-EU destinations, while imports from non-EU countries accounted for 0.1 per cent of the total. A significant proportion of trade takes place between the UK and Ireland, especially oats moving from Ireland into the UK. The small oat area in Northern Ireland (2,000ha on average over the past ten years, according to DEARA), suggests companies based there have a dependency on trade for their raw materials, according to AHDB. 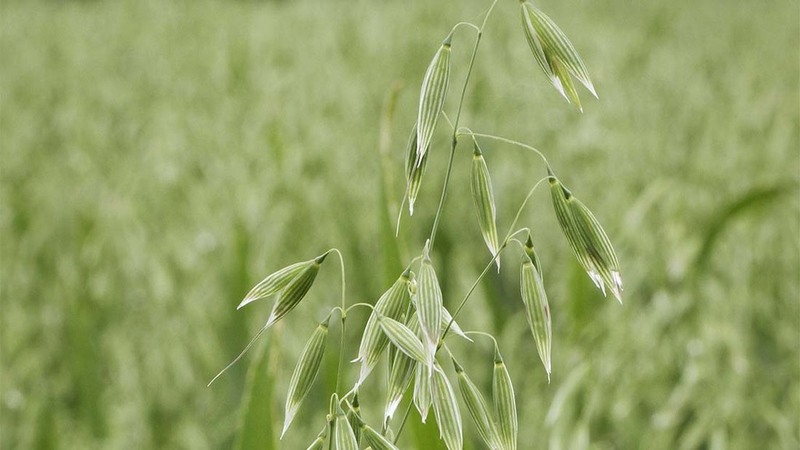 The other main origins of UK imports are Finland and Sweden, the EU’s largest oat producing countries. In terms of exports, UK oats are mainly bound for Belgium/Luxembourg and Spain. Furthermore, the UK faces stiff competition from the top global oat exporters, says AHDB. The five largest oat importing countries outside of the EU are US, China, Mexico, Switzerland and Japan. Canada and Australia are the dominant exporters but with notable volumes also supplied by Finland and Sweden. AHDB says it would present a significant challenge to grow UK exports to non-EU destinations to a level that would replace the UK’s trade with the EU. With only very limited exceptions, imports of oats into the EU are subject to a tariff of €89/t (£79.38). This makes it all but prohibitively expensive to import oats from outside the single market, according to AHDB. The recent creation of a tariff-free quota for Ukraine is interesting as the country produces and export oats. While the quota is at present very small (4,000t) and has not yet been fully utilised, this could still prove important going forward as it sets a precedent, according to AHDB. Declines in global oat production, plus to a lesser extent, interest in the human health benefits of consuming oats, are expected to drive gradual increases in global trade in future, according to AHDB.